Glad the can't opener worked out for you today, Greg! A chair in my workshop sprung a leak in the rise/fall mechanism. Since I keep that particular chair at maximum height, I just drilled a hole at the point I wanted the seat and out a 1/4" bolt through. Works like a champ. Had to grab an ST200 to help with the doubled nuts. The TT is accompanied by a smallish Browning folder that was a freebie at Cabelas last year. Good work on the chair and LOVE freebies G-Man. Definitely worth waiting 24 days. 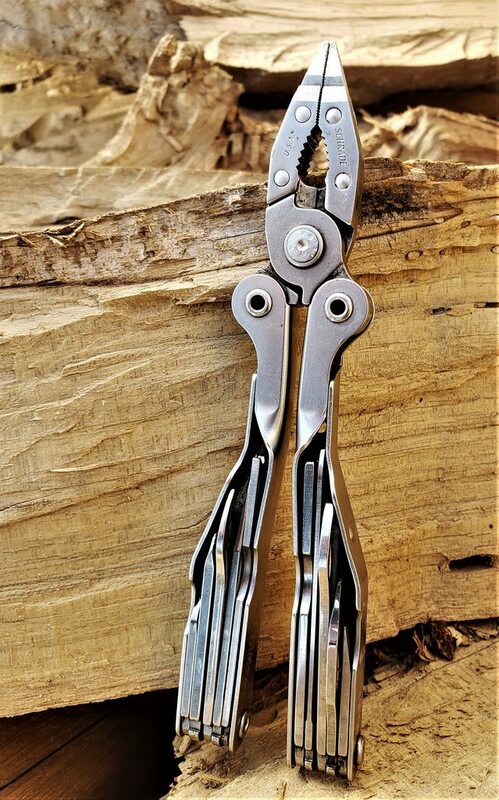 A Mora and ToughTool can do almost anything. I did not know the TT leather sheath rode so high. That would drive me bonkers. Do you like the leather TT sheath carried vertical, Cody? Before I removed it from my belt (I don't carry fixed blades in public, even though it's perfectly legal, and a lot of people carry Buck and similar fixed blades around here, which the 3.5" Mora is small in comparison to; and might I add slightly shorter in blade length to the Buck 110; the LT version carried regularly, in public), I took a better photo. 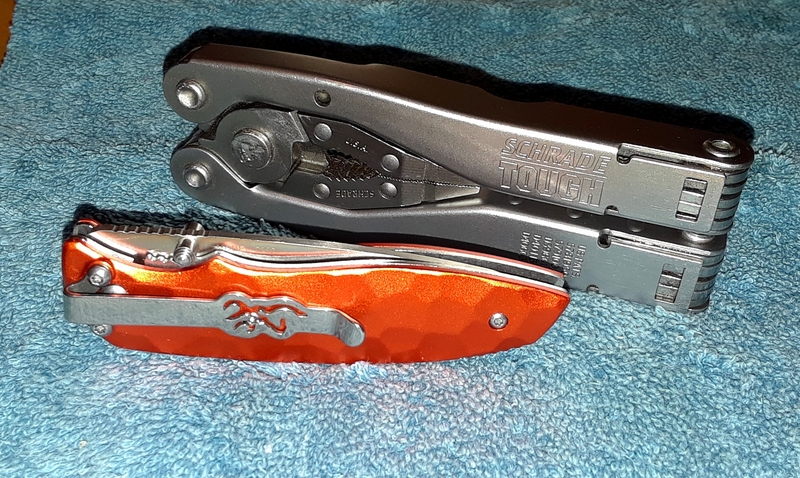 Here's how it sits with the Mora in the sheath behind it. The pommel is about equal with the "TOOL" text embossing on the sheath. I typically carry it horizontally. Vertical has too much movement, and I only carry it that way with another sheath, the Mora in this case. 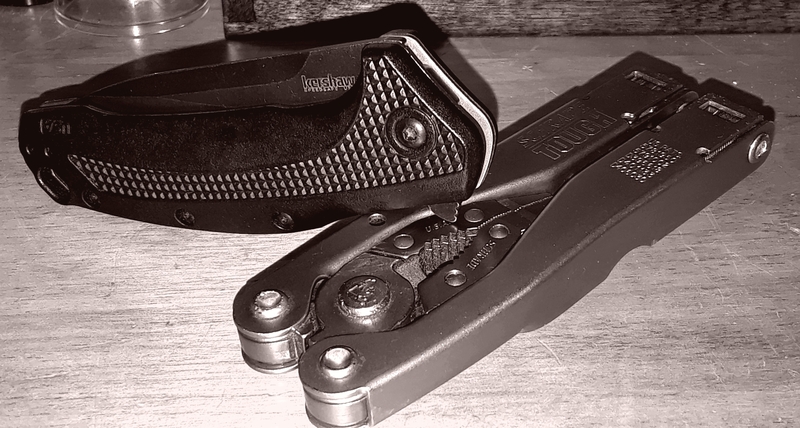 Today brought two uses; one yanking a sharpener out of a Klein Journeyman's pouch it got wedged in; which I typically just use as an organizer inside the tool cabinet in my room. Secondly, was showing my grandfather how easily the cheap diary/piggy bank locks are picked, and I preceded to break open the lock; not just pick it; but tearing out the rivet holding the cheap little thing together. No photo of that, er, um mistake. Thanks for the information, Cody! 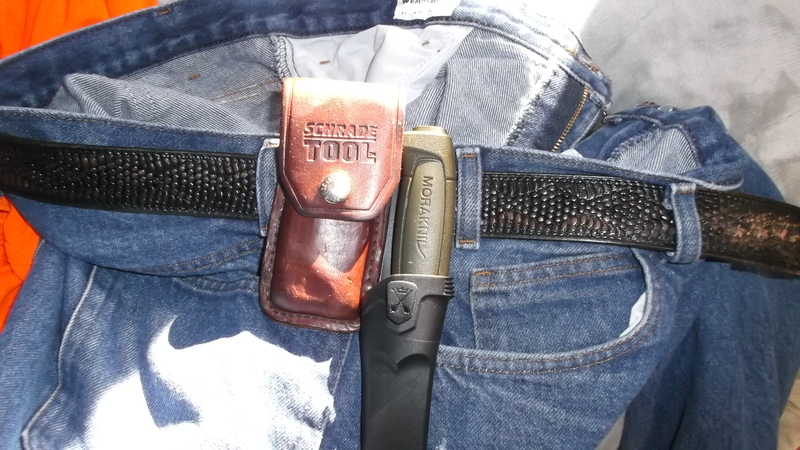 I do carry vertical, but only do it with sheaths that ride around the belt line, not above. 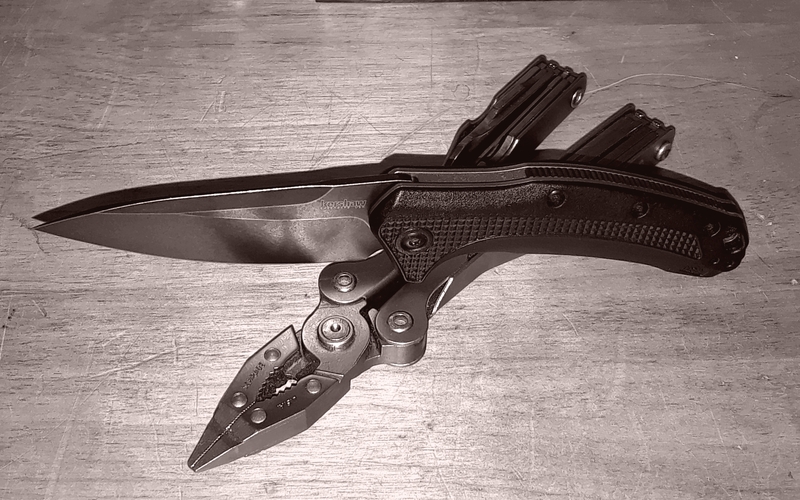 The custom dual sheath I use at work rides a smidgen over the belt, but it is still within reason. Most MT makers have the belt loops on the sheath sewn well below the top of the sheath and in the middle of the sheath. 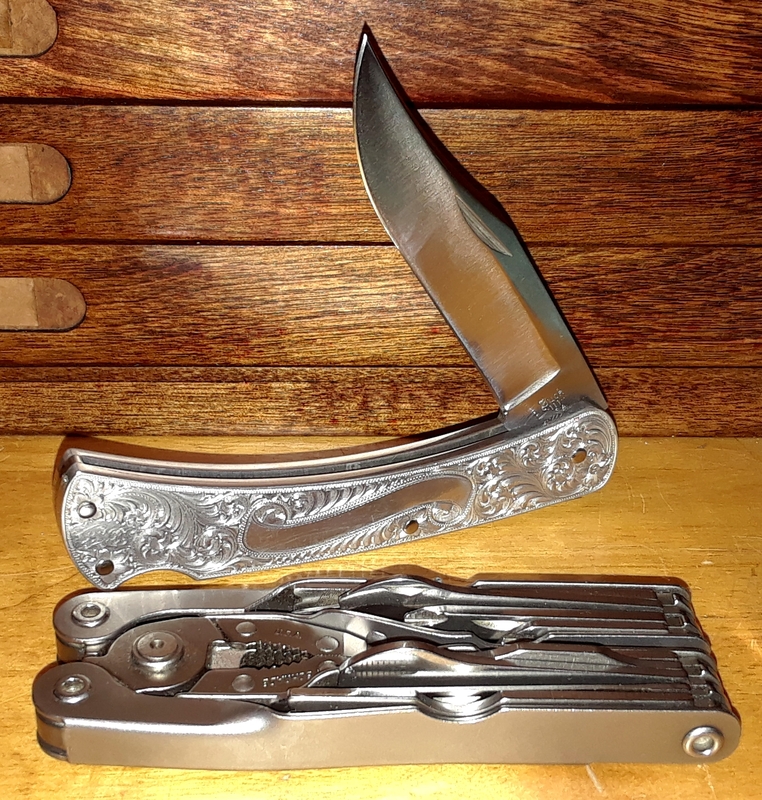 LM, Gerber, Vic, SOG, etc. all do it. Some of the companies have a few sheaths that will ride nicely though, such as some of the Molle types that have the loop starting at the top of the back on the sheath. Thank you, Greg! And good use with the TT. 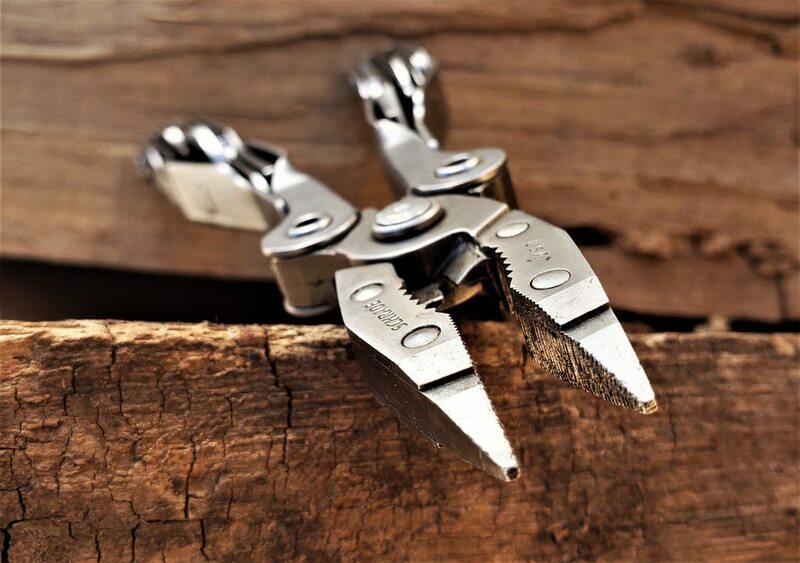 When you need to put out the candle, you could snuff the flame out with the pliers. 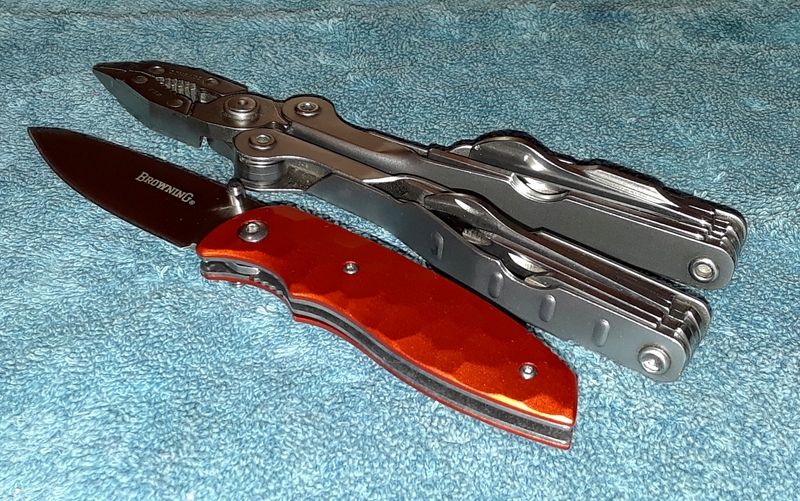 Haven't used the TT for anything yet, but here are two shots of my MT/Knife carry today. No real uses here too. Just a couple of beauty shots. Started trying to fix the left hand side sliding bifold door on the closet, which my folks chose to put in to a closet they put in my room when I was a kid. Always hated it in comparison to my old, traditional closet on the other side of the room that was removed in an expansion to the bathroom. It's always coming off the track for some reason, this time, it's been tough to put back on. With a few missing pieces, replacement handles, and a mangled track, I'll likely buy a replacement hardware set and redo it all. Thankfully, at $15, it's fairly inexpensive. File, smoothed the chewed up tops of the plastic guide. Screwdriver, started loosening the screw to move it then used the cordless impact as it was jammed. 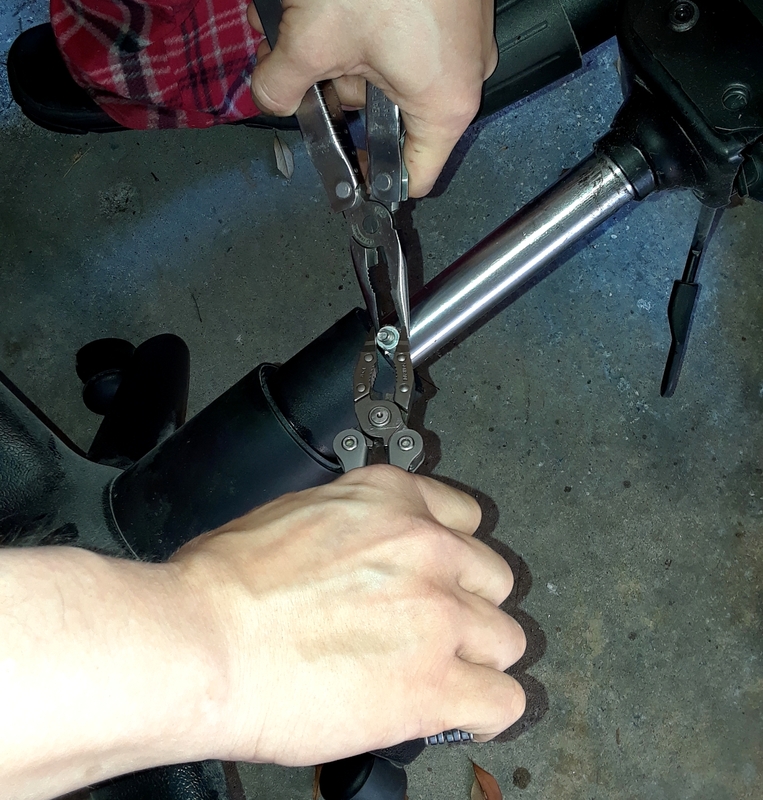 Pliers adjusted the bottom pivot, and finally, I drove the track guide into the proper position using the Harbor Freight 2.5# dead blow and the Irwin "Perfect Handle" tanker's tool kit screwdriver. The Irwin is of course collectible, but has mushrooming on the cap, and I had to file out a ding in the tip. 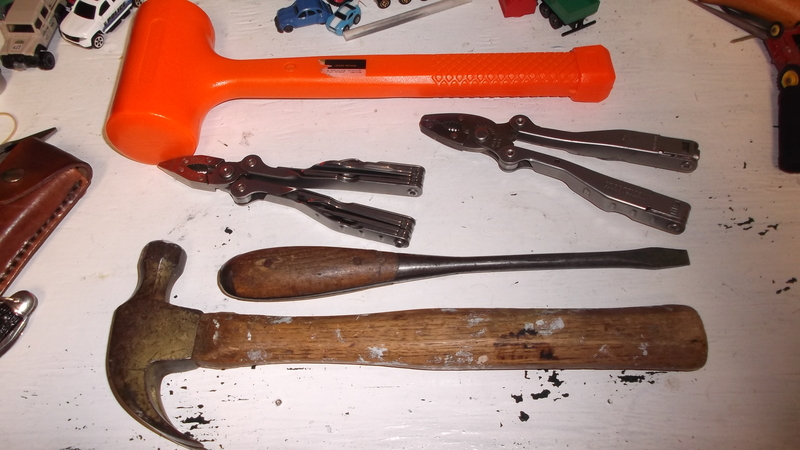 Being full-tang, I use it for danged near everything--pry bar, punch, and of course, screwdriver. Plus, with a dead-blow you don't risk mushrooming anything metal you hit. 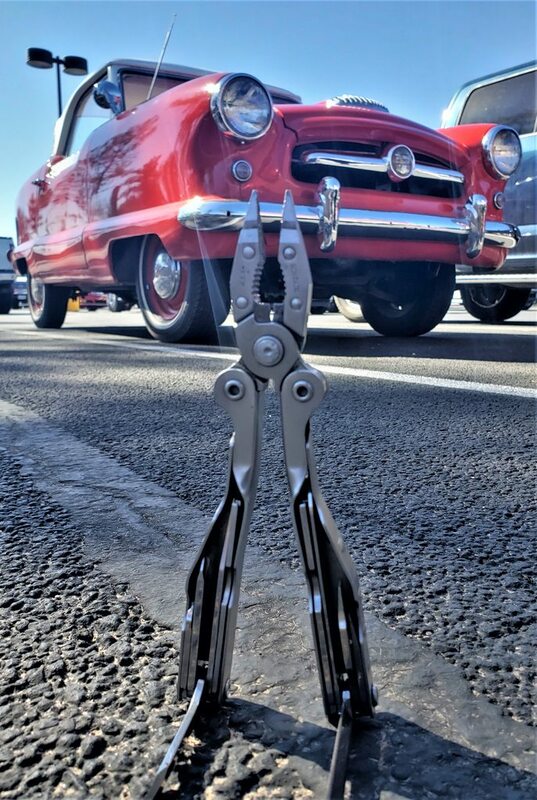 That's why I made sure to buy one early in the month during February's Harbor Freight trip (I often make one a month). 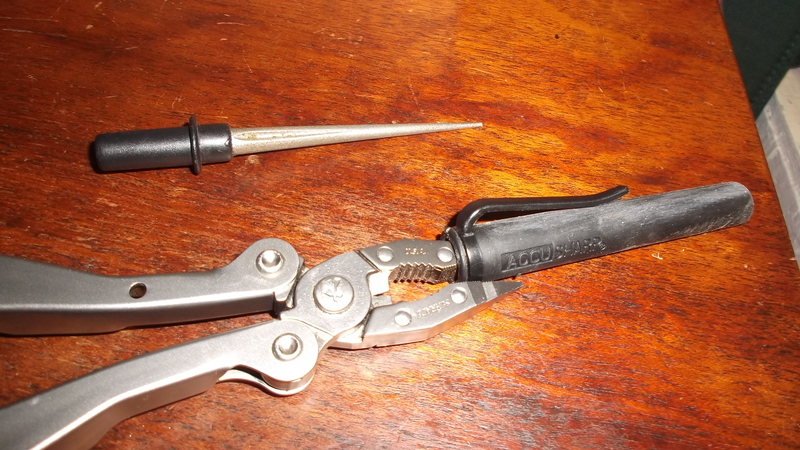 I also used the blunt nose pliers and 5/16 impact bit I keep in the driver of the Craftsman Professional Multitool. Good work, Cody! Glad the TT got a workout today. I really love the older screw drivers, regular and full tang. I still use mostly wood handled drivers at my work. If the driver isn't worth more than $25, I use it, and use it hard. The old ones seem to hold up better than the new ones. And, to top that off, the older screw drivers have a longer blade/tip on the shank, so they can be ground and sharpened dozens of times. Its a pully/roller kit to rebuild my dryer, which is screaming like a banshee. I just hope it isnt the main bearing; I couldnt find that part so I went with the basic refurbishment kit. Ouch on the dryer repair, Noa! I hope it goes well for you. It is good you know how to do that stuff. I've known people who got pinched a couple of hundred dollars for that job. Heading to the dermatologist this morning for a checkup. A bit of a fluffed up Carey today. 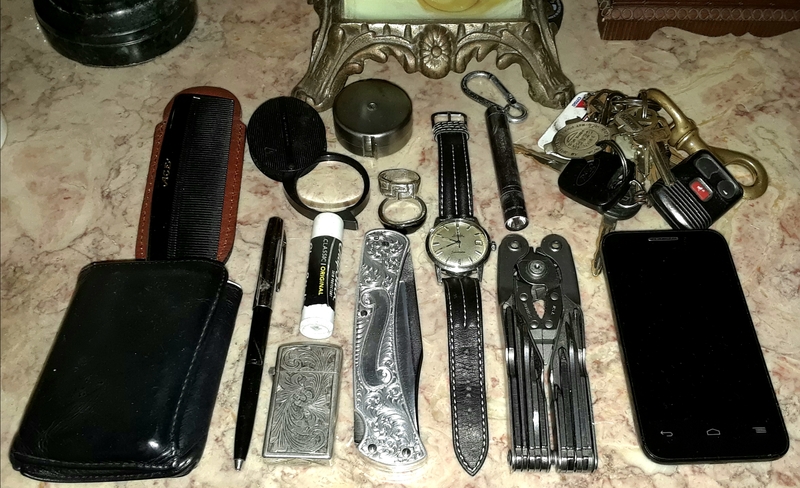 Today's off-day pocket dump, since I had forgotten to do one earlier in the challenge.